A NEW EXPRESSION IN LUXURY WITH INCOMPARABLE PANORAMIC OCEAN, INTRACOASTAL & CITY SKYLINE VIEWS IS NOW OFFERED IN THIS NEW CONSTRUCTION PENTHOUSE AT AQUABLU. DESIGNED FOR THE DISCERNING BUYER: 10 FT CEILINGS, WALLS OF GLASS & A FLOW THRU UNIT INSPIRED BY A CONTEMPORARY DESIGN. THE CULINARY KITCHEN OPENS TO A FAMILY RM (OR OPT. 4TH BR). SUNRISE VIEWS FROM THE WATERSIDE MASTER BEDRM. 2 OVERSIZED BALCONIES (1 SUMMER KITCHEN). VALET, CONCIERGE, FITNESS CENTER, CLUB RM, DOCKAGE AVAILABLE. SQ FT FROM DEVELOPER. AQUABLU NEW CONSTRUCTION CONDOMINIUM ON THE INTRACOASTAL WATERWAY, CONTEMPORARY DESIGN. 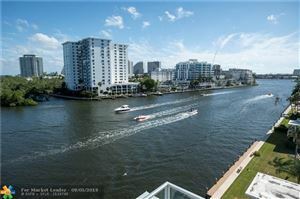 UNOBSTRUCTED VIEWS OF THE OCEAN, INTRACOASTAL & CITY SKYLINE, 3 BR, 3.5 BA, GREAT RM, FAMILY RM, 10' CEILINGS, CULINARY KITCHEN: WOLF & SUBZERO APPLIANCES (INDUCTION COOKTOP), 2 OVERSIZED BALCONIES W/SUMMER KITCHEN, FURNITURE READY, FITNESS CENTER, CHLORINATED SALT WATER HEATED POOL, DOCKAGE AVAILABLE, VALET & CONCIERGE. WALK TO THE BEACH, SHOPS & RESTAURANTS. SQ FT FROM DEVELOPER BELIEVED ACCURATE NOT VERIFIED . AQUABLU a truly Iconic building that will have Intracoastal, City & Ocean views. 3 Bedroom, 3.5 Bathroom 3258 sq ft under air. Luxury Waterfront Condo with a 3900 Sq. FT Terrace for your own entertaining area! Solar & Black Out electric shades in all the rooms. 2 assigned parking spaces, 1500 sq ft Gym, 65 ft Heated Pool, Entertainment & Event room. This condo is Spectacular for indoor outdoor living! Feel like you are on the water from inside your home. Southeast exposure makes this condo extremely desirable. 10ft Ceilings with floor to ceiling glass thru out the home. Boutique Building has the amenities of a larger building including Valet service. Bring your clients and let them be Speechless about the views through out the Waterfront Condo. Sq ft by Broward Tax collector. AQUABLU A NEW CONSTRUCTION CONDOMINIUM ON THE INTRACOASTAL WATERWAY. CONTEMPORARY DESIGN. 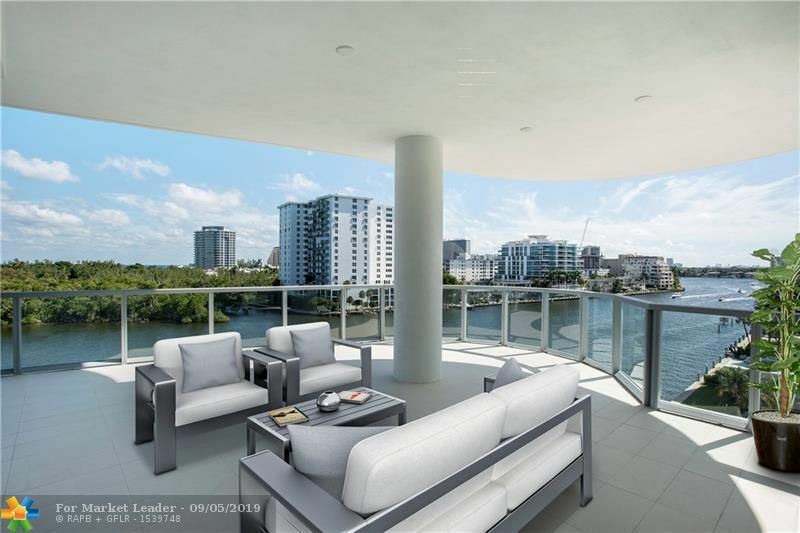 UNOBSTRUCTED VIEWS OF THE OCEAN, INTRACOASTAL & CITY SKYLINE. 3BR, 3.5BA, GREAT RM, FAMILY RM, 10' CEILINGS, CULINARY KITCHEN: WOLF & SUBZERO APPLIANCES (INDUCTION COOK TOP), 2 OVERSIZED BALCONIES W/SUMMER KITCHEN, FURNITURE READY, FITNESS CENTER, SALT WATER CHLORINATED HEATED POOL, DOCKAGE AVAILABLE, VALET & CONCIERGE. WALK TO THE BEACH, SHOPS & RESTAURANTS. (OWNER FINANCING) SQ. FT FROM DEVELOPER BELIEVED ACCURATE. AQUABLU - New Construction Condominium on the Intracoastal Waterway. Contemporary design. Unobstructed views of the ocean, Intracoastal and city skyline. 3BR, 3.5BA, great rm, family rm, 10' ceilings, culinary kitchen: Wolf & SubZero appliances (induction cooktop), 2 oversized balconies w/summer kitchen, furniture ready, fitness center, salt water chlorinated heated pool, dockage available, valet & concierge. Walk to the beach, shops & restaurants. (Owner Financing) Sq Ft from developer believed accurate. **NOW READY FOR OCCUPANCY** AQUABLU IS A NEW CONSTRUCTION CONDOMINIUM ON THE INTRACOASTAL WATERWAY INSPIRED BY A CONTEMPORARY DESIGN. UNOBSTRUCTED VIEWS OF THE OCEAN & INTRACOASTAL WATERWAY, 2 SPLIT BEDROOMS, 2 FBA, 2 GARAGE PARKING SPACES, A GREAT ROOM, SEPARATE DEN/OFFICE, 10' CEILINGS, CULINARY KITCHEN WITH WOLF & SUBZERO APPLIANCES (INDUCTION COOKTOP), AN OVERSIZED BALCONY FACING THE INTRACOASTAL WITH ACCESS FROM THE GREAT ROOM AND BOTH BEDROOMS, FURNITURE READY, FITNESS CENTER, HEATED POOL, DOCKAGE AVAILABLE, VALET & CONCIERGE. WALK TO THE BEACH, SHOPS & RESTAURANTS. SQ FT FROM DEVELOPER BELIEVED ACCURATE NOT VERIFIED. A rare opportunity for a select few, AQUABLU a truly Iconic building that will have Intracoastal & Ocean views. 2 Bedroom, plus a Den, 2 Bathroom 2136 sq ft under air. Over 100,000 in upgrades including Flooring, Italian Kitchen Cabinetry, and Cal Cutta counter. Upgraded Bathroom cabinetry in all bathrooms. Solar & Black Out electric shades in all the rooms. 2 assigned parking spaces, 1500 sq ft Gym, 65 ft Heated Pool, Entertainment & Event room. Only 7 units left in the Building starting at over $1,449,000. Buy this Luxury Waterfront Condo at pre-constrution pricing. **NOW READY FOR OCCUPANCY** AQUABLU IS A NEW CONSTRUCTION CONDOMINIUM ON THE INTRACOASTAL WATERWAY INSPIRED BY A CONTEMPORARY DESIGN. UNOBSTRUCTED VIEWS OF THE INTRACOASTAL WATERWAY & OCEAN, 2 BEDROOMS, 2 FBA, 2 GARAGE PARKING SPACES, A GREAT ROOM, SEPARATE DEN/OFFICE, 10' CEILINGS, CULINARY KITCHEN WITH WOLF & SUBZERO APPLIANCES (INDUCTION COOKTOP), AN OVERSIZED BALCONY FACING THE INTRACOASTAL WITH ACCESS FROM THE GREAT ROOM AND BOTH BEDROOMS, FURNITURE READY, FITNESS CENTER, HEATED POOL, DOCKAGE AVAILABLE, VALET & CONCIERGE. WALK TO THE BEACH, SHOPS & RESTAURANTS. SQ FT FROM DEVELOPER BELIEVED ACCURATE NOT VERIFIED.